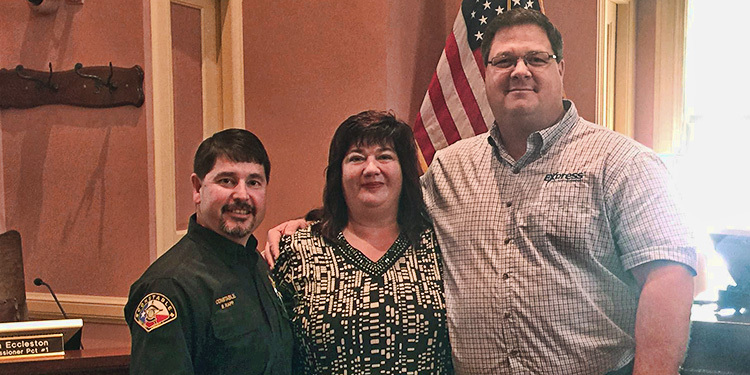 In Commissioners Court Thursday, Sept. 1, Shane Rapp, Comal County Constable, Precinct 4, accepted a donation of more than $3,100 from Hunter and Kristi Borland of Express Employment Professionals to buy bulletproof vests for the Precinct 4 Constable’s Office. Also at the meeting, San Antonio Food Bank accepted a proclamation naming September Hunger Action Month in Comal County. One in four families in the county are food-insecure, and one-third of the food-insecure are children.